I suffer from having Women Facial Hair and I hate to say that the person in this picture is me. This picture was taken at night after just removing makeup and scrubbing my face. Unfortunately for me I have been shaving my face every single morning for many years. I literally will not walk out the house without shaving and putting some type of concealer on my face for obvious reasons. I learned how to put on make up by watching you tube videos. I tried Waxing my chin and lip once but for some reason the hairs are too short and the wax never grabs the course short hairs. Embarrassed to leave the house without shaving and concealer or make up of some kind on my face. Hell I wont even open the front door half the time with out at least some lotion on my face. (it helps me feel like i have something to help cover the ingrown hairs and razor bumps. And if i did, I'd never make eye contact with anyone and will keep my eyes and head to the ground just hoping that no one will notice. This is me with my awesome boyfriend on our 6 year anniversary. You can still see the razor bumps but for the most part I was happy with the way my foundation covered those imperfections. And for a bonus, My boyfriend finally likes the way my face looks in makeup (well this brand any way). Remember I learned all about makeup on YouTube. I evened watched videos of drag queens using different creams and foundations to hide their 5 o'clock shadows. So there was a lot of trial and error on my end. I always would purchase a shade of foundation that was too light for me and put way too much on because I felt I had to "cake it on " to hide my flaws. So while looking through many videos online I came across Make up forver which is a mat finish, waterproof , oil free foundation sold by Sephora. What does that mean ? well it means I no longer have to worry about breakouts on my face because im trying to cover whats growing out of my face. In other words this makeup is actually safe for acne prone skin. Women Facial Hair do exist, however with so many different options for concealers and foundations in an almost unlimited amount of shades, we can overcome it. 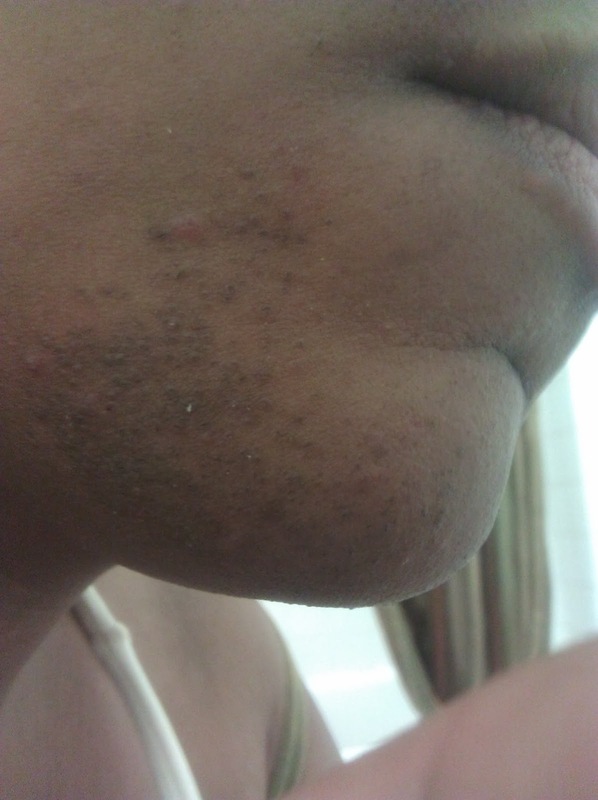 Having Women Facial Hair and pcos goes hand in hand with some women, myself included. I will probably never stop trying to find the perfect razor,tweezers, hair removal cream etc because Facial Hair just like Infertility and PCOS is just another obstacle I will have to overcome.